Have you checked your tires recently? 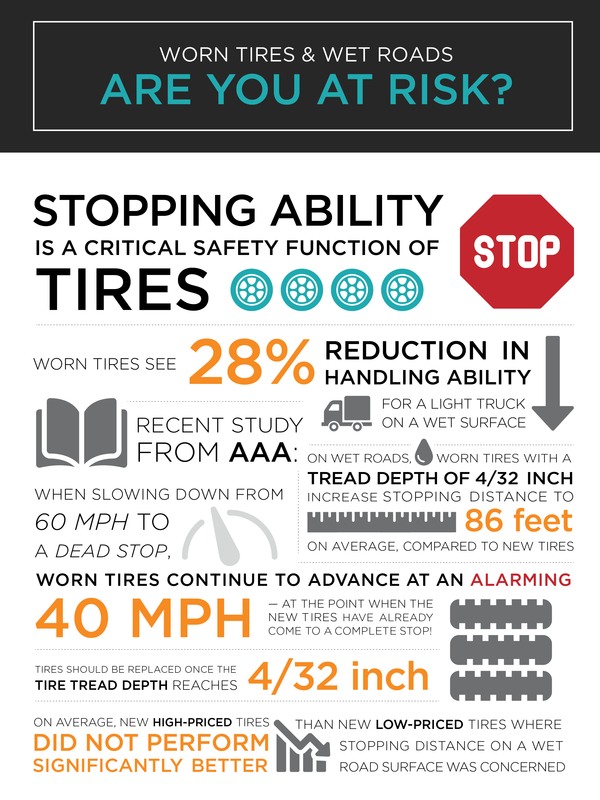 Did you know that worn tires on a wet road increase your chances of an accident by 28%? Take a look at this infographic.